Doug Jeck is an important master of the figurative genre in ceramics today, using clay in a multi-media approach to his art. Jeck creates work influenced by static physicality and historicity, with the human object at the center. His life-like sculptures are an amalgamation of clay, hair, concrete, fur, and wood that explore Jeck’s perception of various early historical periods and figures. Jeck joined the School as faculty in 1996 and is an active member of 3D4M: ceramics + glass + sculpture. 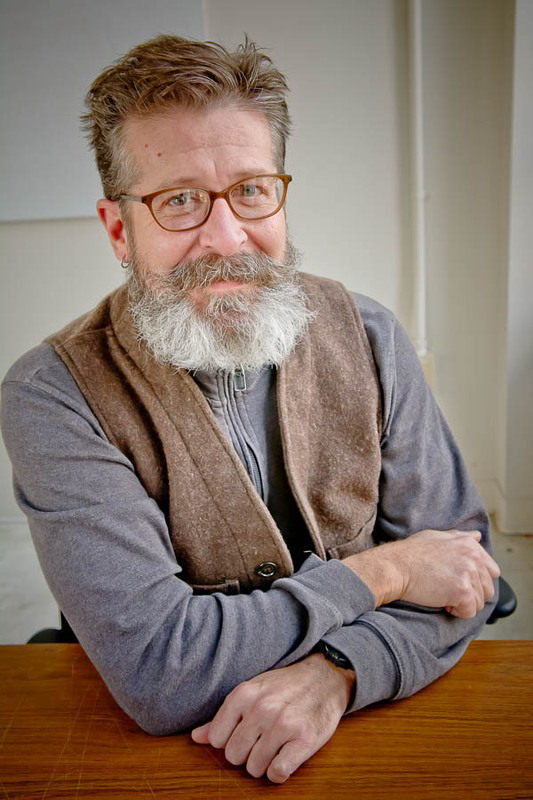 He has received many awards and grants including one from the Illinois Arts Council, two National Endowment for the Arts Visual Arts Fellowships, the Virginia A. Groot Foundation, and an NEA travel grant to the La Napoule Foundation, La Napoule, France. His work can be found in several public collections including: The Johnson Wax Collection, The Los Angeles County Museum, The Smithsonian Renwick Gallery of American Art, The Mint Museum, The Tacoma Art Museum, The Seattle Art Museum, The Gardiner Museum of Art, and the Virginia A. Groot Foundation.